March is the month of EVIL! Warriors around Lore channel their inner darkness, rage, and embrace the war-like spirit that lives within. 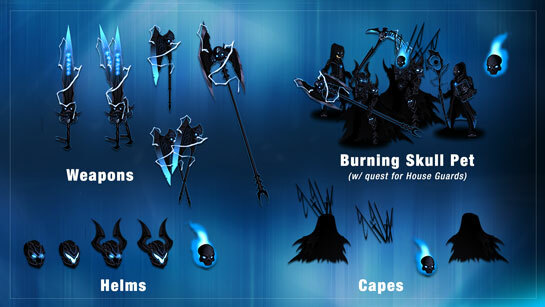 This month's seasonal set honors that drive, featuring a new set straight out of the Underworld: the Legion Warseeker. 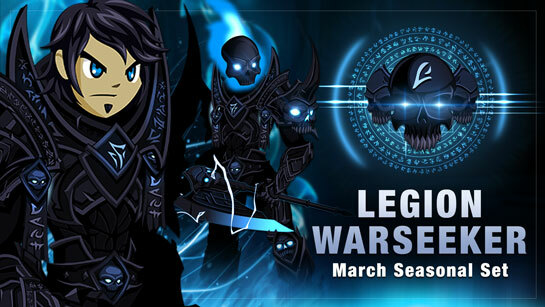 Starting Friday, March 1st at 12:01 AM EST (that's server time), unlock the Legion Warseeker armor and all its accessories! The total cost to buy all of the gear individually is 4,400 ACs, so getting all the gear from the pack is a pretty sweet deal (you save 2,400 ACs). April - August: ??? - come back to see what we'll bring! Is this the same as ann upgrade bonus? This set will return EVERY March, so if you can't get it now, you'll have another chance in 2020, or 2021, or 2022, etc.